Happy Saturday! I hope that all of you are enjoying the beginning of your long weekend! It's time to do a little housekeeping around here. 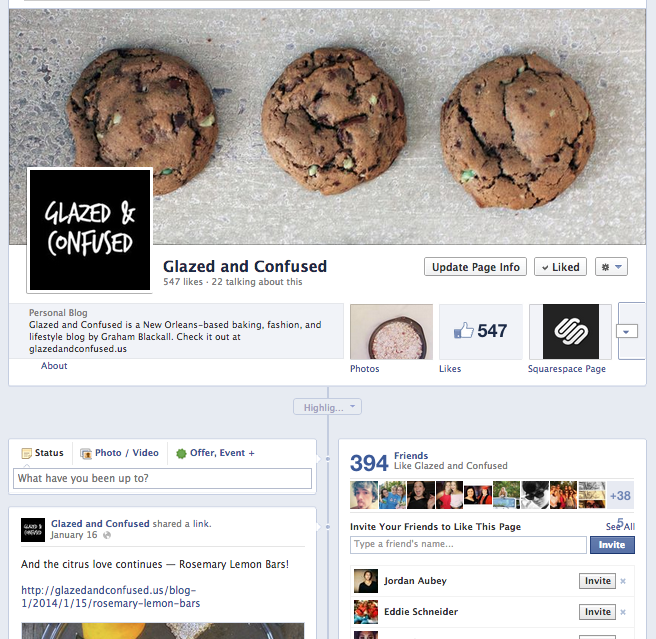 Recently, I have finally found the time to expand Glazed & Confused's presence to elsewhere on the interwebs. Now it's your turn. If you'd like, give me a quick follow on my social media sites. (Hell yeah for cross promotion!) I'll follow you back and we can be one big family of sugar addicts! Just click on the pictures to go to the sites.